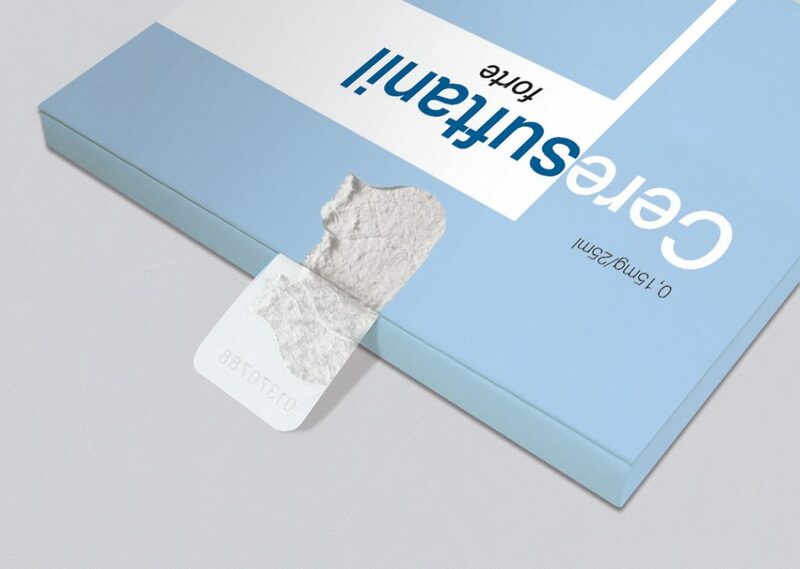 Counterfeit medicines are a common threat and an international challenge to everyone involved in the pharmaceutical supply chain. 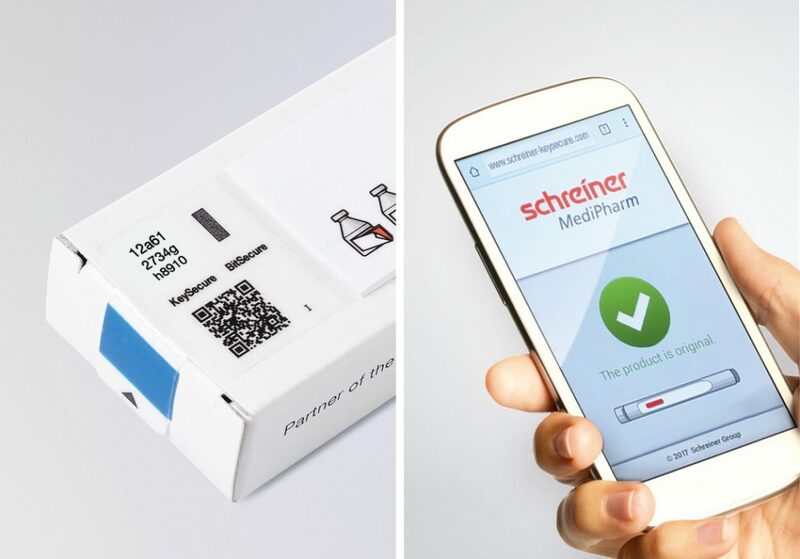 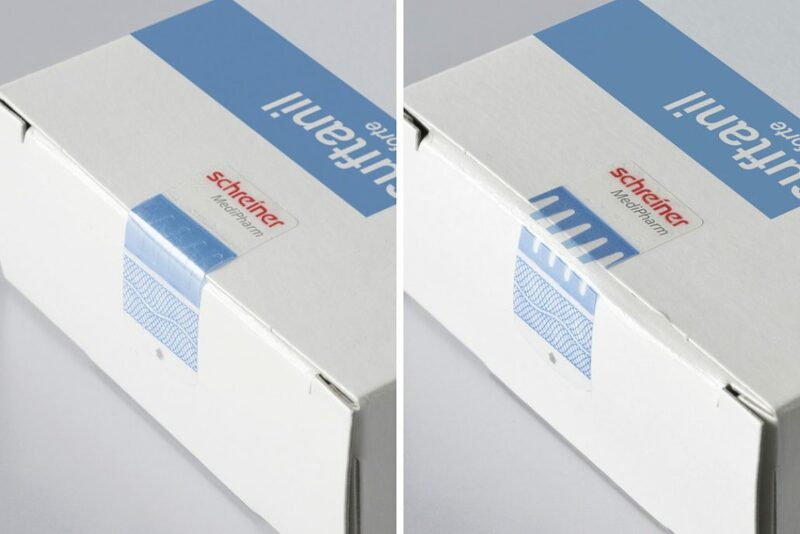 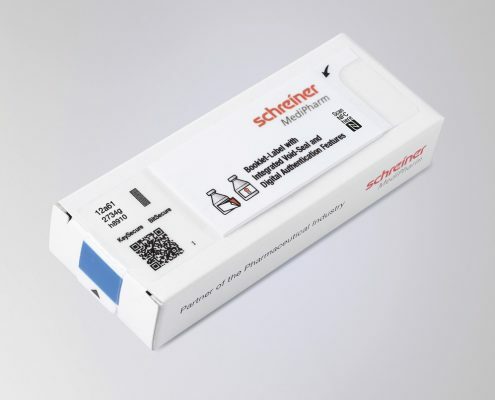 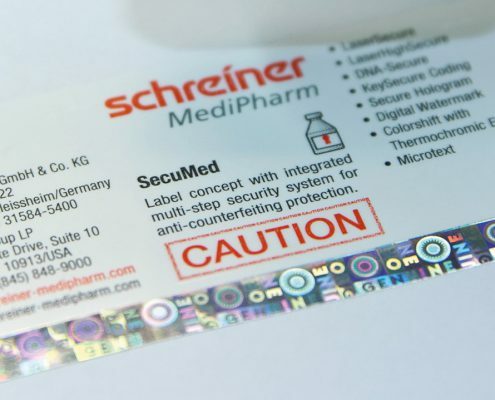 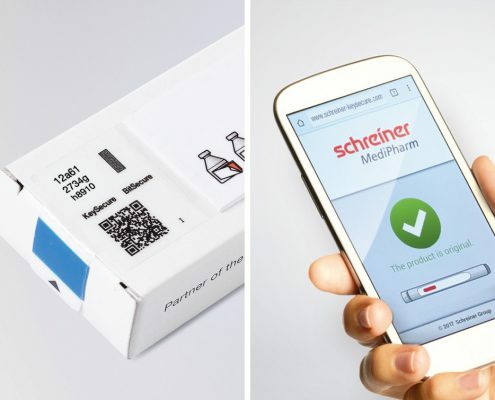 In 24 pictures, our business unit Schreiner MediPharm illustrates what customized product and brand protection to safeguard the supply chain in the pharmaceutical industry can look like. 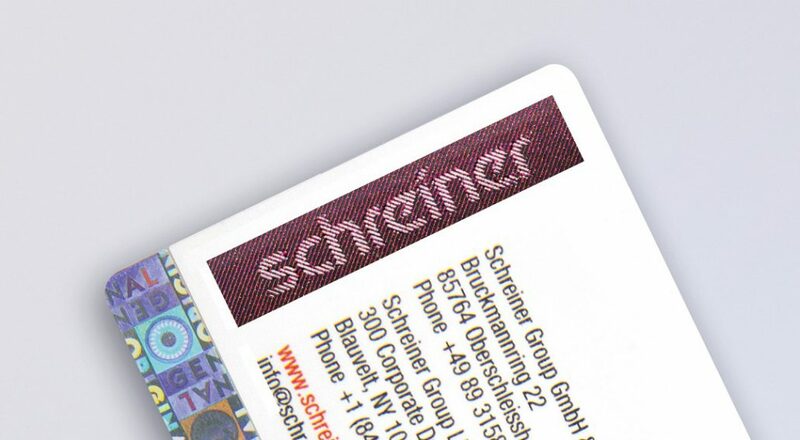 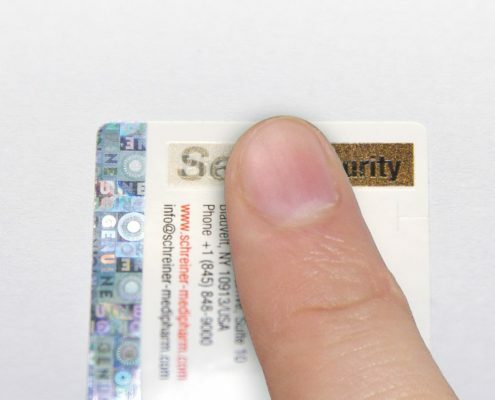 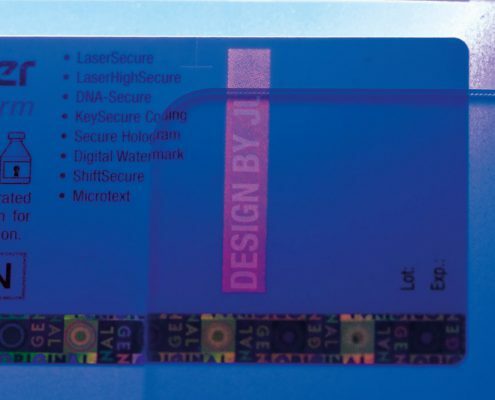 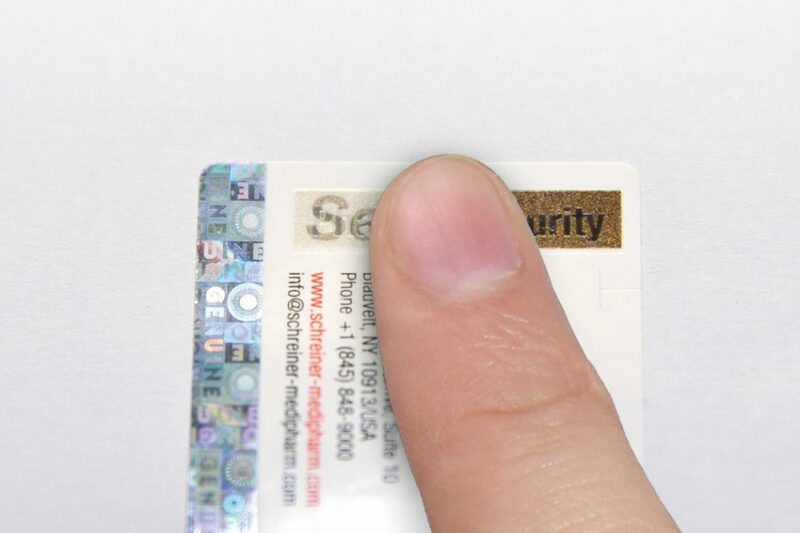 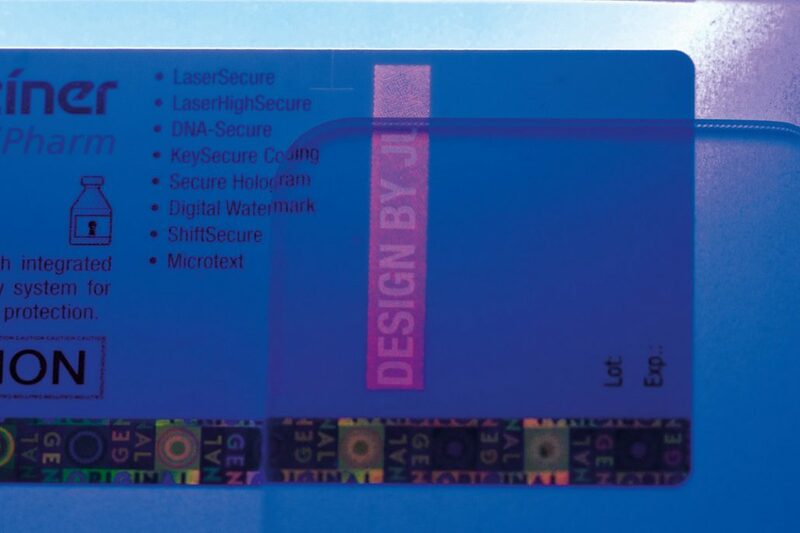 It covers aspects such as first-opening indication and tampering protection as well as counterfeiting protection featuring all levels of security (overt, semi-overt, covert and digital). In addition, identification and tracing play an important role in light of EU Regulation 2016/161 requiring medicines to be provided with anti-counterfeiting features. 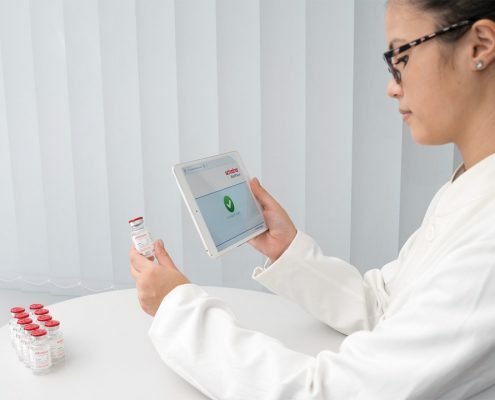 The transition period for pharmaceutical manufacturers will end on February 9, 2019. 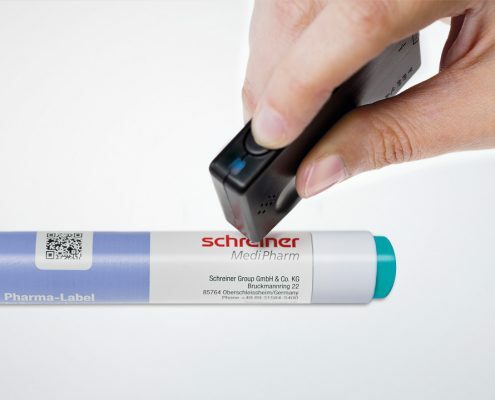 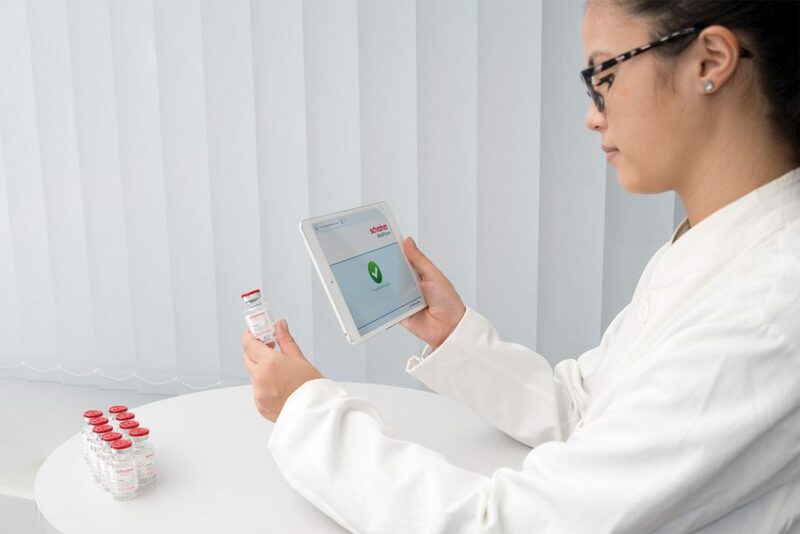 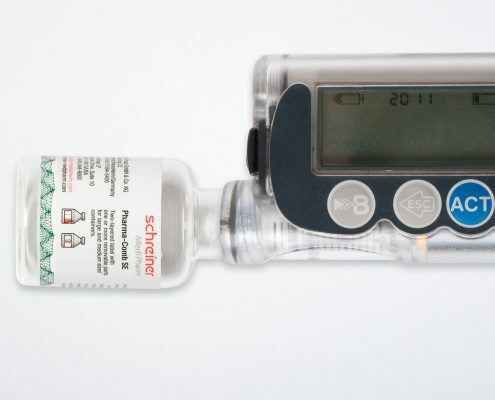 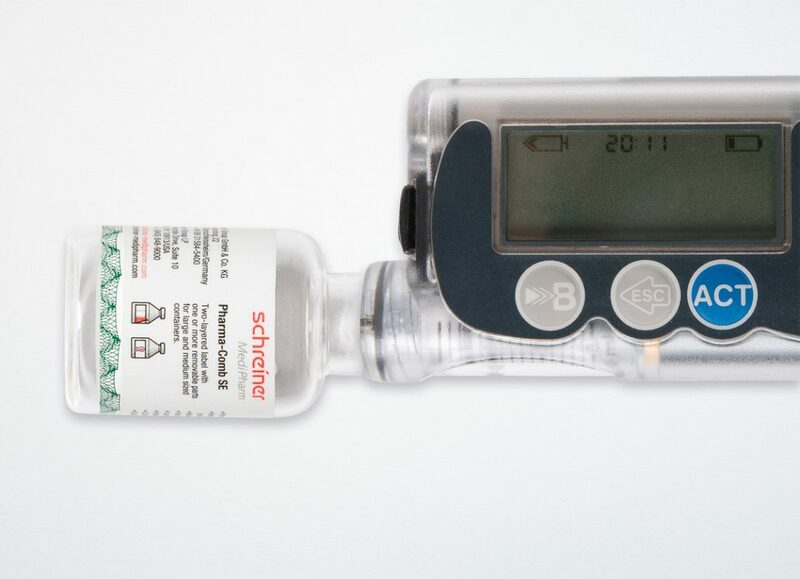 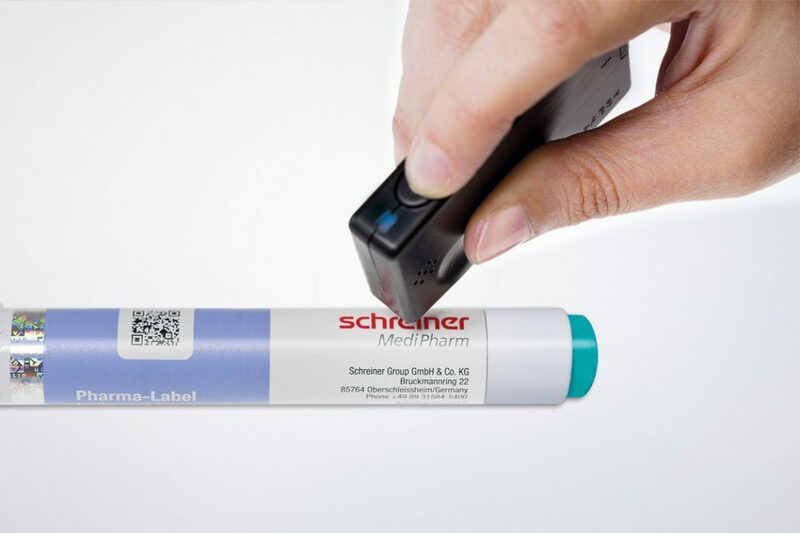 By that time, every prescription medicine will have to be provided with an individual serial number in the form of a 2D code (DataMatrix) and a device against tampering with the packaging. 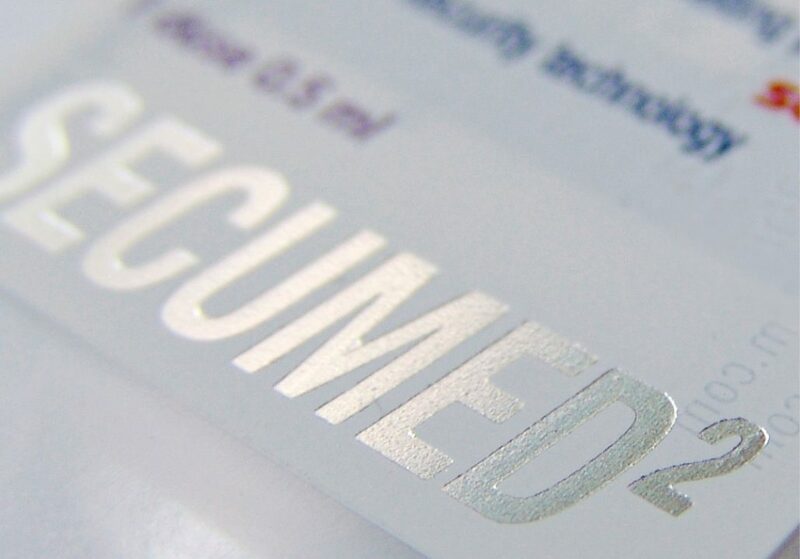 These measures are intended to protect patients against falsified medicines. 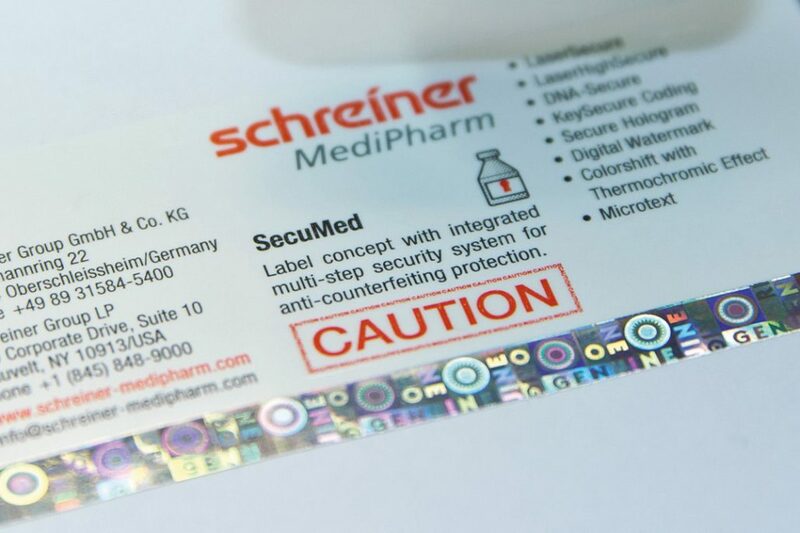 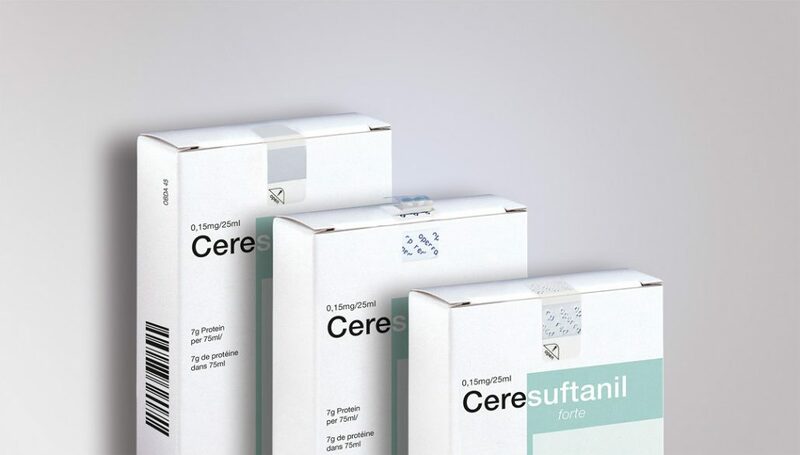 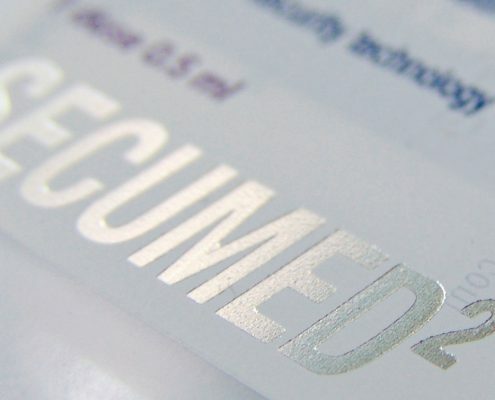 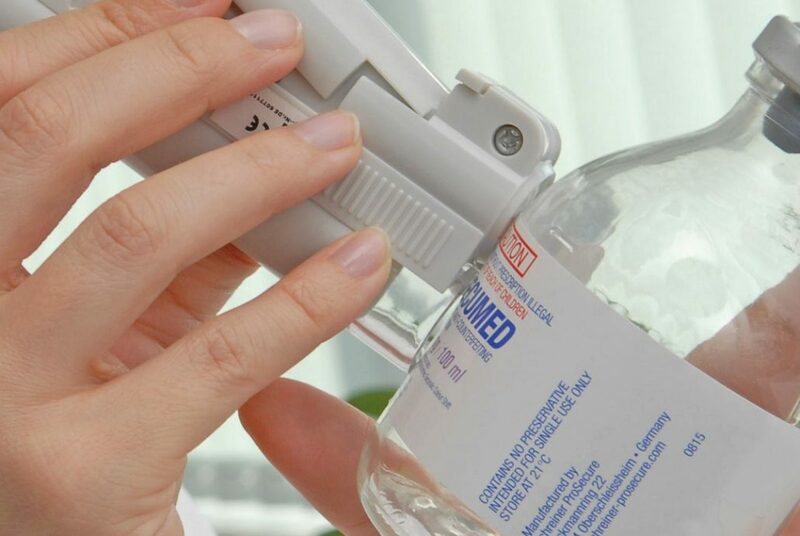 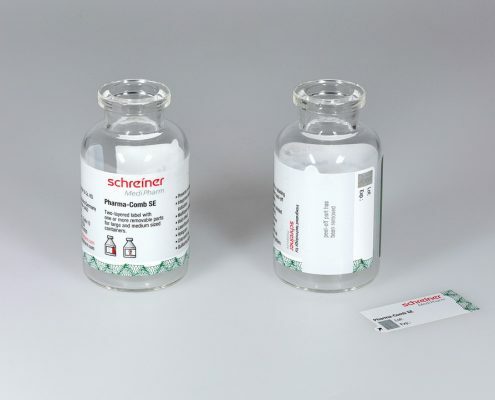 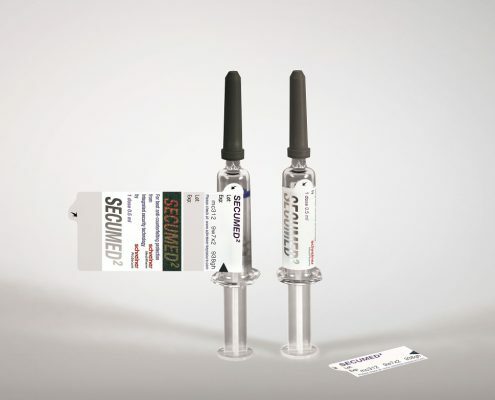 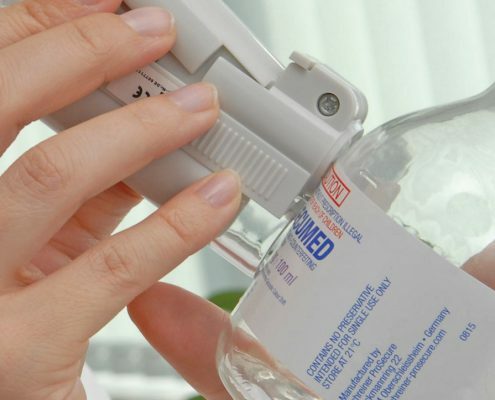 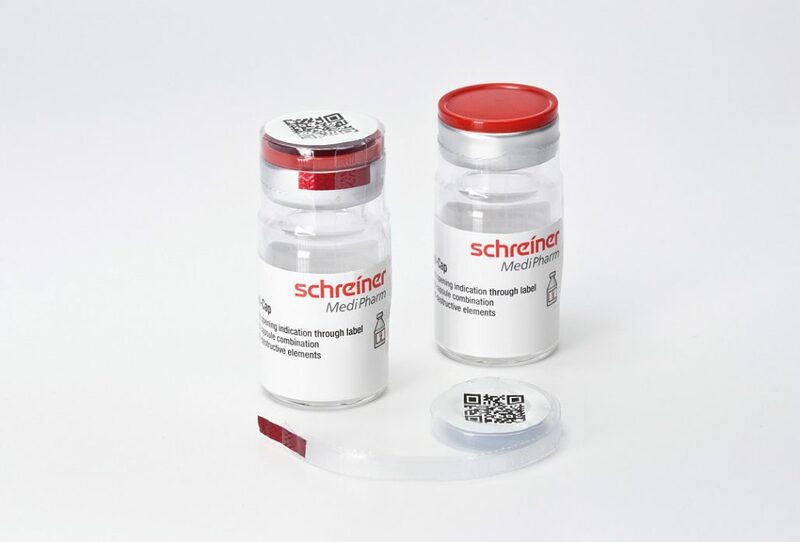 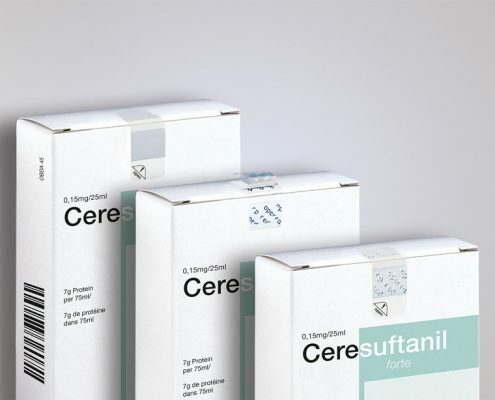 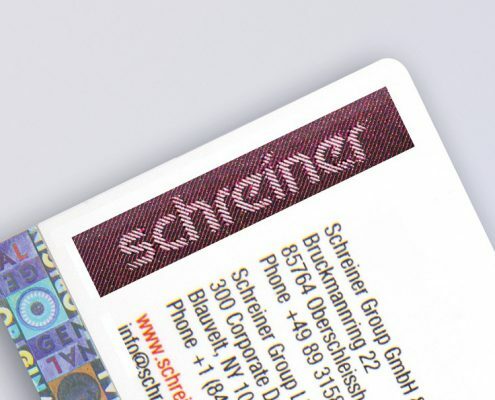 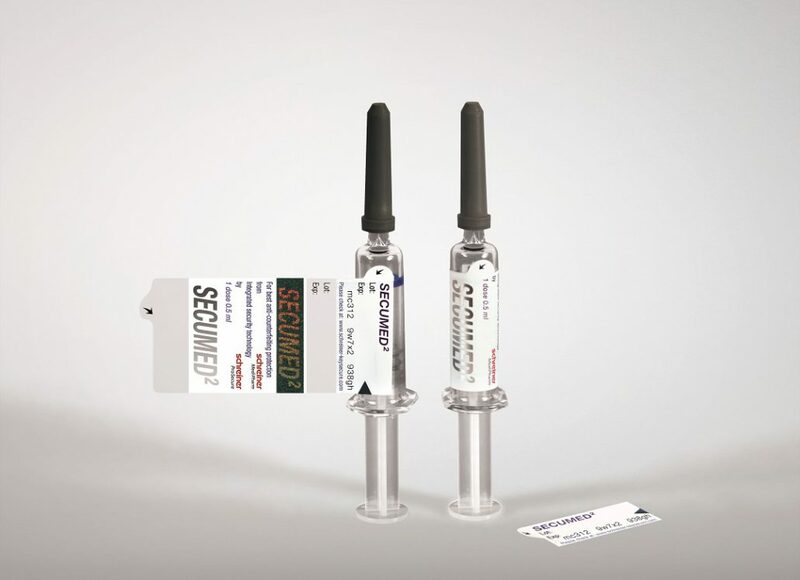 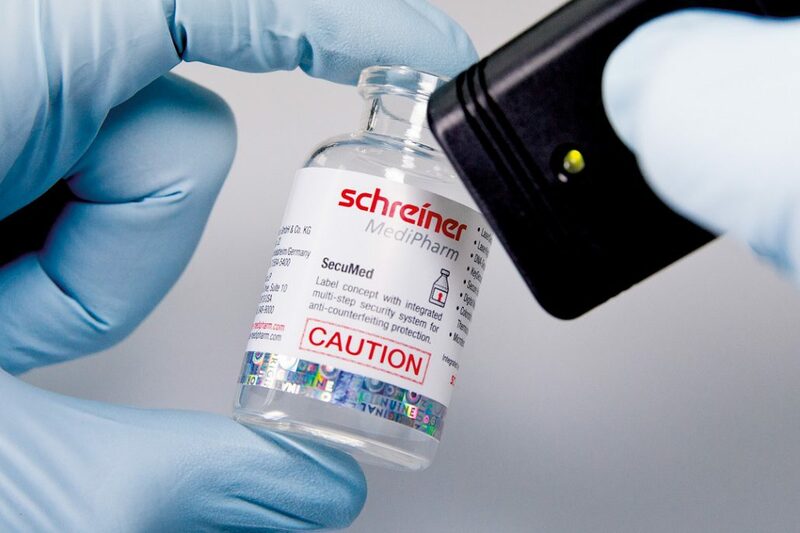 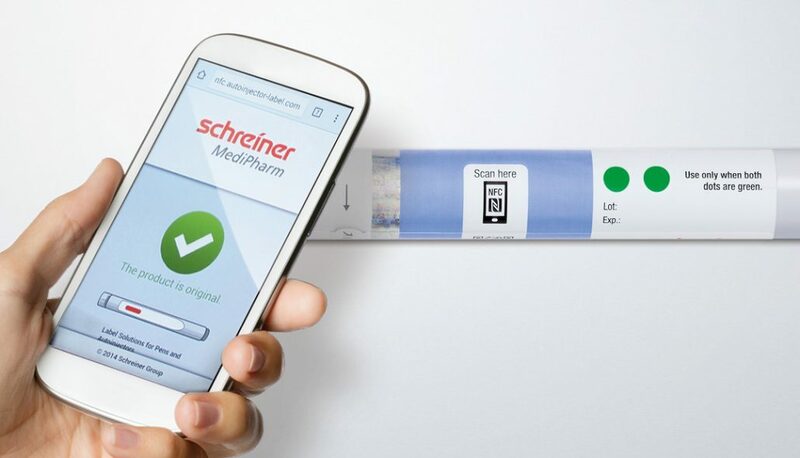 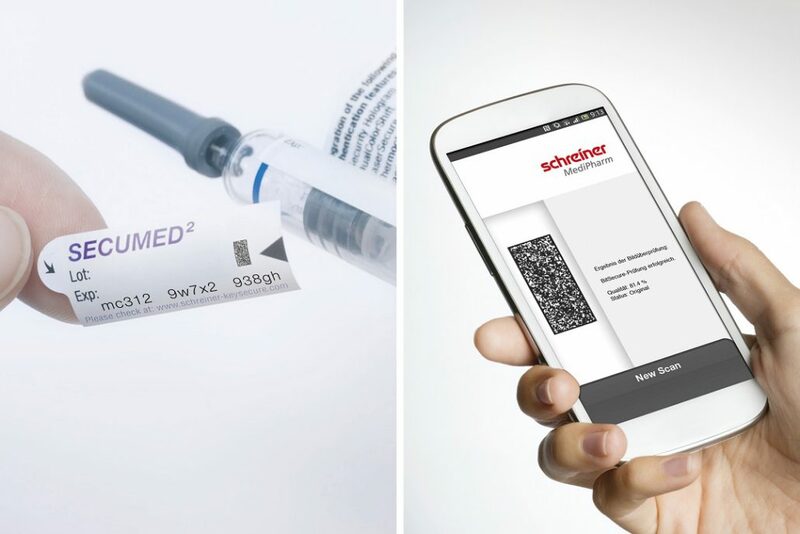 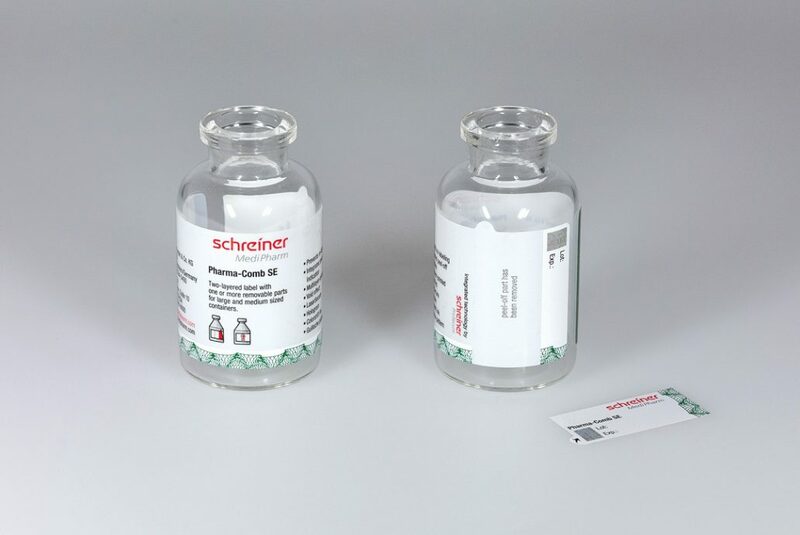 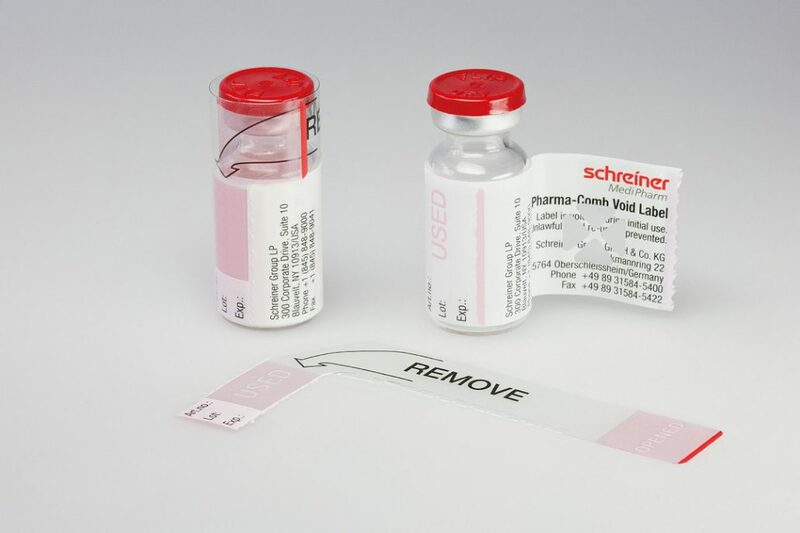 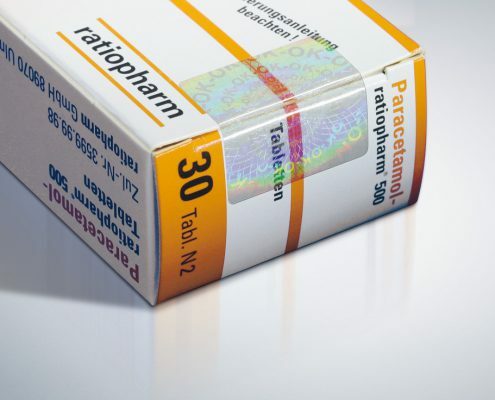 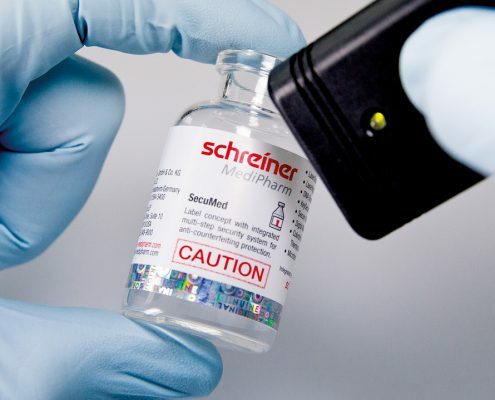 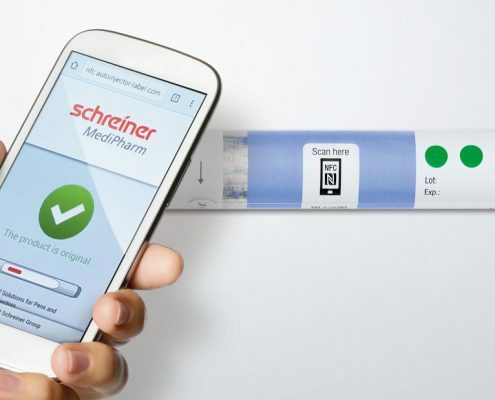 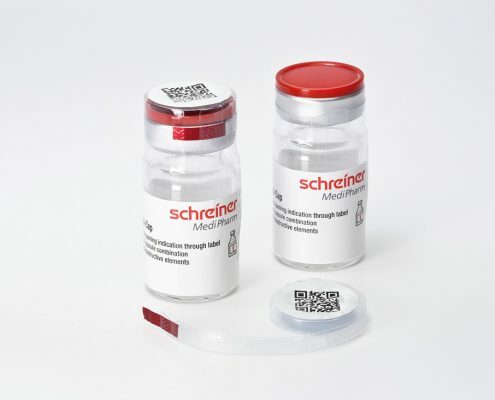 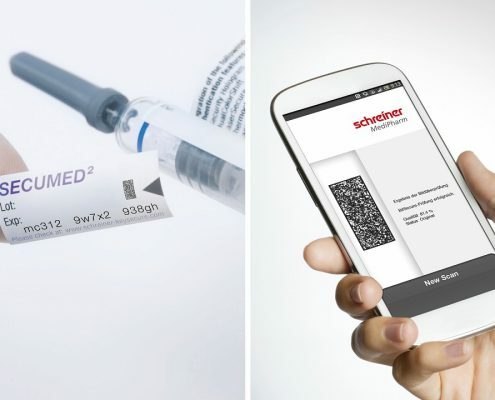 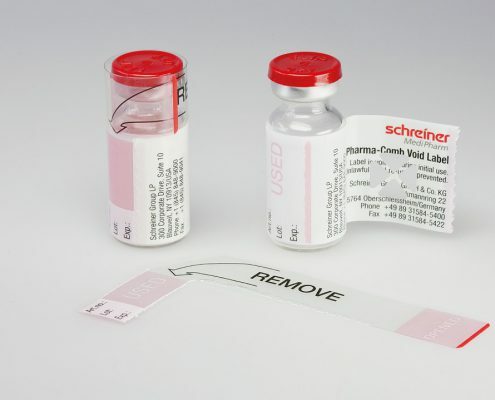 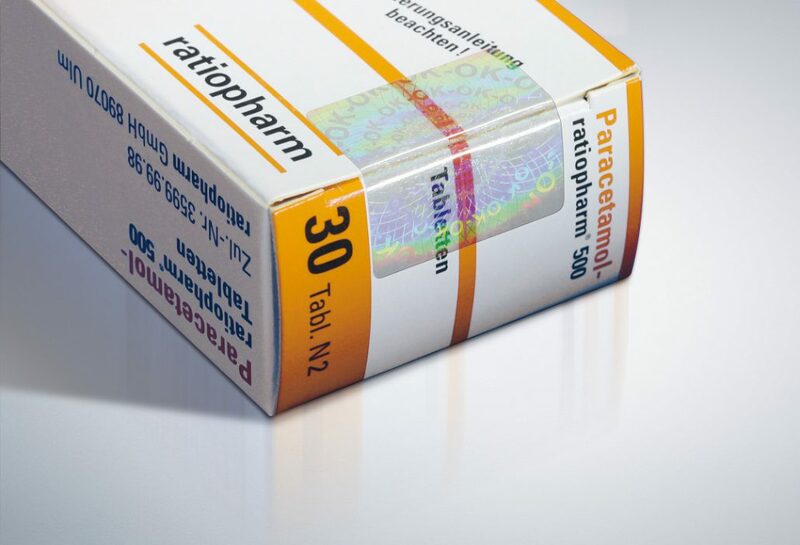 The combination of diverse features by pharmaceutical manufacturers results in complex security labels that successfully put an end to the counterfeiters’ game. 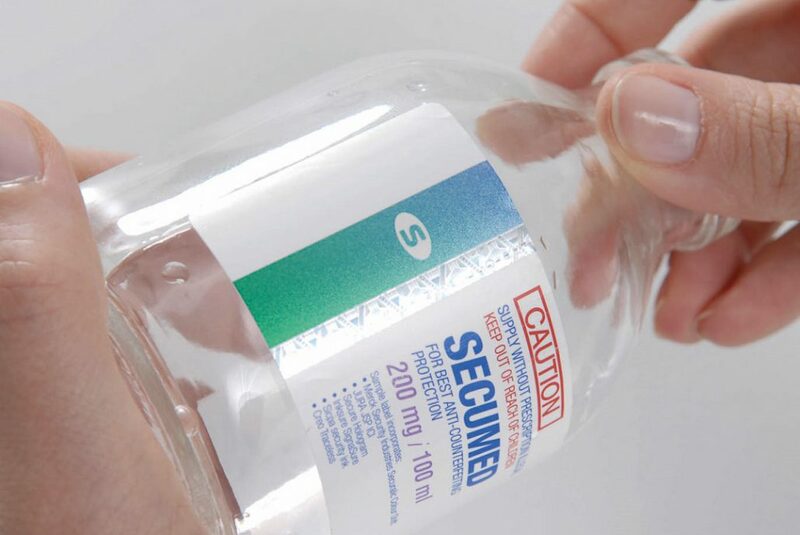 This is absolutely necessary because counterfeit medicines are a common threat and an international challenge. 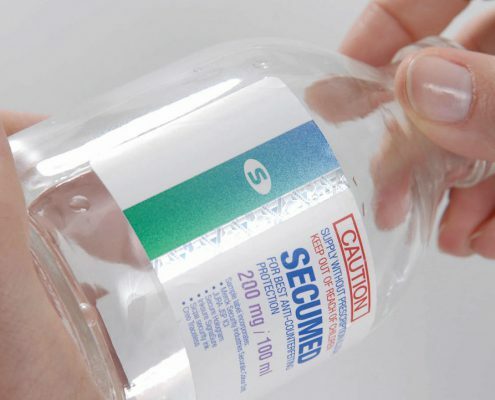 The World Health Organization (WHO) estimates that in industrial countries up to seven percent and in developing countries 30 to 70 percent of all medicines are counterfeits. 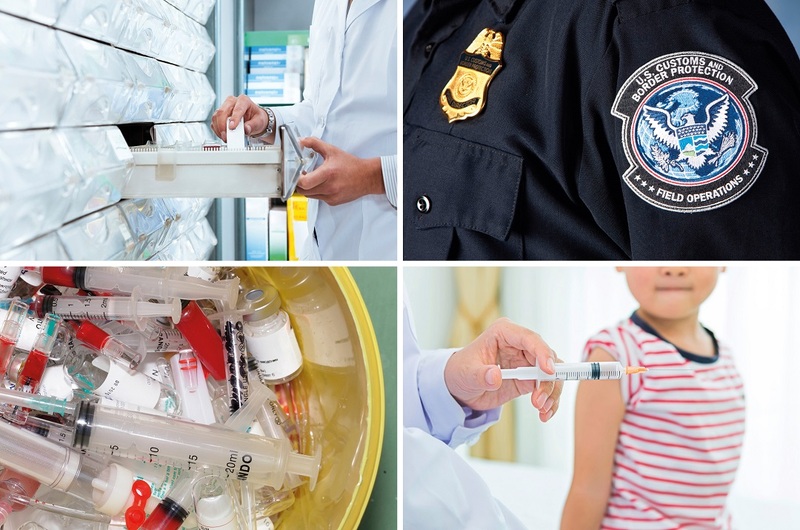 As the profit margins here are much higher than those in illegal drug trafficking or smuggling of cigarettes, counterfeiting syndicates with worldwide operations are increasingly involved as well. 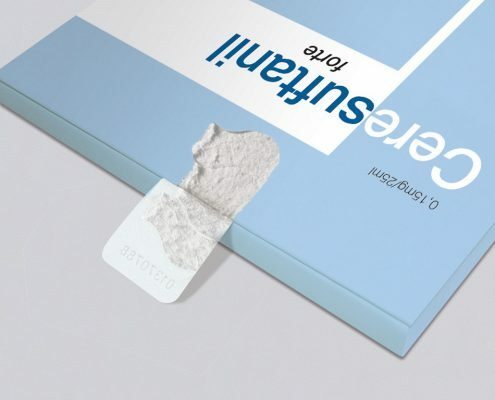 The legal distribution chain, for instance, is circumvented by means of internet pharmacies and products are falsely marked in terms of their identity, ingredients or origin. 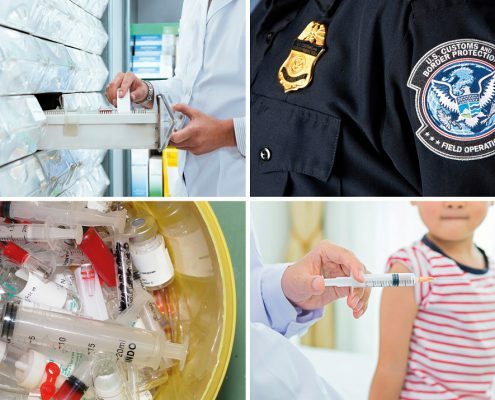 These illegal practices affect all dosage forms, such as tablets, infusions, syringes, ointments and solutions, irrespective of whether they are generic or patent-protected, prescription or non-prescription products.